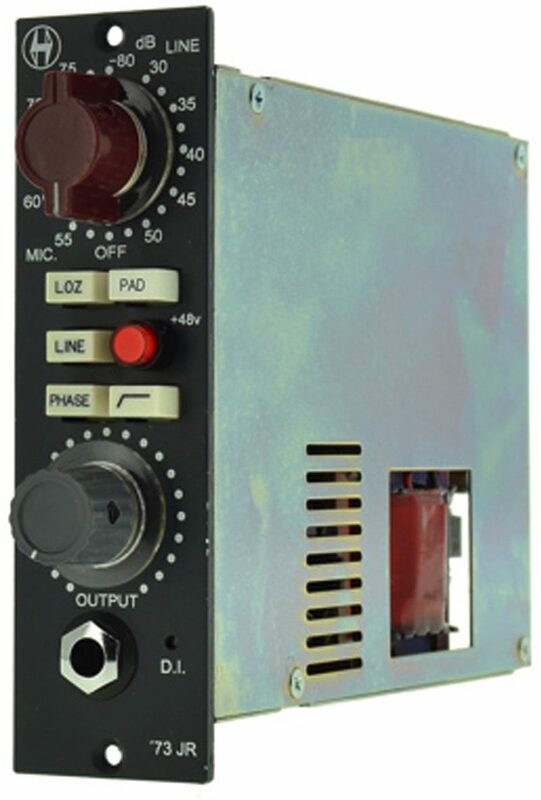 The Heritage Audio HA73 Junior is a true 1073-style mic preamp in a single 500 series slot with some added features that will cover all the recording needs for engineers and musicians that don't find the need to track with EQ. Employing only discrete circuitry and conventional components, the '73 Junior is a faithful 3 stage all class A 1073 preamp. Styroflex and tantalum capacitors have been used throughout. No corners were cut. The Line mode allows for re-amping of prerecorded tracks and it's perfect for adding some class A color to lifeless recordings. The smart switched DI (automatically switches from MIC to DI mode when inserting a MONO 1/4" jack) is an all discrete class A JFET circuit ahead of the MIC transformer, so all the juice is there. Since its introduction in 2013, it has become a classic DI for bass. Finally, special care has been taken with power handling, implementing internal +24v slow turn on regulation (about 20 seconds to reach full voltage). 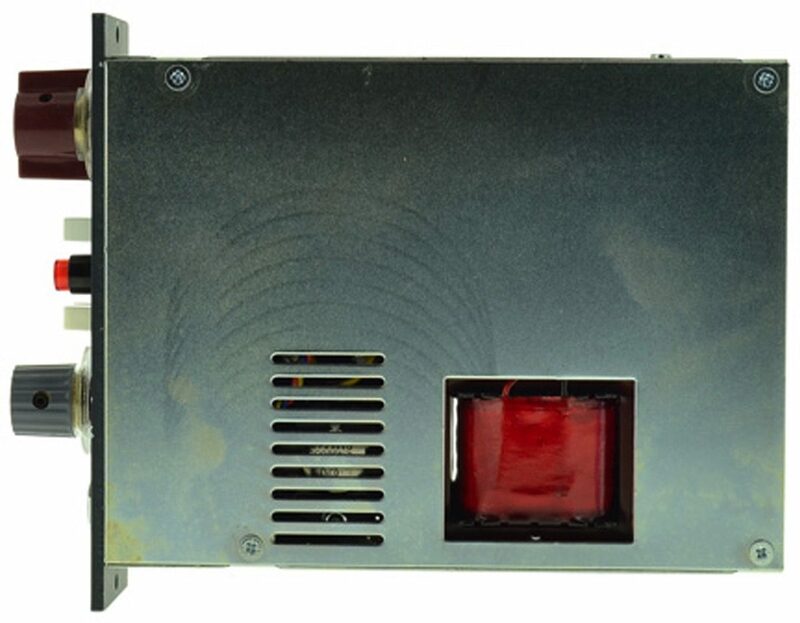 This makes your 500 series enclosure's power supply healthier and makes the '73JR independent of the rest of the slots. zZounds is an authorized dealer of Heritage Audio products. - Microphone input impedance: HI, 1200 Ohm minimum, LO, 300 Ohm minimum. Higher gain positions gradually have greater impedances, optimum for lo gain ribbon mics. Input is transformer balanced and floating. - Line input impedance: 10K Ohms bridging, transformer balanced and floating. - DI input impedance: Greater than 2 Megohms, unbalanced. - Output impedance: Less than 75 Ohms, transformer balanced and floating, to drive a load of 600 ohms (factory terminated). - Maximum output: Greater than +26dBu into 600 ohms. - THD: Less than 0.025% at 1 Khz, less than 0.05% at 100Hz. - Noise: Less than -100dBu. - Power consumption: 88 mA per rail @+-16VDC.